We choose to eat for many, many reasons that have nothing to do with hunger. To effect long-term weight loss, we need to ask why are we eating and reflect upon that deeply. There is another way: Stop dieting – start connecting. Connecting with what is really going on for us may be the key as to why we reach for the wrong foods, or stand there in front of the pantry or fridge, when in fact we are not actually hungry. Indeed, connecting with how we feel might be a first step to healing our need for excess food or the wrong food. Perhaps we could ask ourselves whether diets don’t work because, like a band-aid, they only mask a wound. Is it possible that connection is what we truly crave and are hungry for ... not connection with another, but connection with ourselves? What if we connect to how we feel and find out what is really going on? Might we find a way to permanently change the way we eat? Wouldn’t this be better than following a diet that only serves as a temporary band-aid and leaves the underlying causes of our overeating and weight unresolved? If all we are doing is applying a band-aid, then it takes nothing for all the same bad eating problems to kick back in and we’re left with the same weight issue, all over again, if not worse, because now it comes with a sense of failure and even fatigue as we find ourselves going round in circles of weight gain, weight loss and weight gain ... again and again. A great first step is for us to commit to connecting with ourselves. What if, when we are connected to who we truly are, there are no issues with food? When we discover a deep connection with ourselves and can hold steady in that, we may find that food is no longer required as a tool for comfort, stimulation, gratification or reward. We may find that cravings fall away. It is from here that we may find that we can choose food as a necessary fuel for the physical body alone – as the drive for emotional eating has fallen away. There is much we can do to heal the emotional issues we are perhaps burying through eating. There are healing processes that can help us break the patterns of using food to bury our issues. This is important because burying our issues does not make the issue go away – it just buries it deep into the physical body, making it more difficult to deal with – but it eventually does need to be dealt with. But there is another way and it begins whenever we choose to STOP and become aware of the emotional issues that drive us to eat in ways that are harmful to our body, our wellbeing and our sense of self. 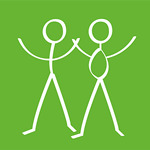 When we connect with ourselves and realise that it is not about food, but about us – our connection – we begin to focus on being connected, instead of trying to lose weight.